Choosing the right carpet to go in whichever home environment you are looking at can sometimes seem like quite a challenge. You want to get it right, this is a big purchase and something you will have to look at and walk on every day! It is important to think about exactly what you are buying, what look you are trying to achieve, whether it will coordinate with the rest of your room and whether it will be hardwearing enough for the traffic in that room. Carpet gives you that bit of luxury underfoot that you don’t get with hard flooring. It can still be extremely hardwearing and given the care it deserves, will last you for many years. So what do you need to look at on how to choose the right carpet for you? Like any other item that you buy, you really need to think about why you are making this purchase and also what you will be using it for. What room in the house is the carpet for? How much wear will the carpet get? Do you have pets, and how many people live in the house? Do you prefer natural fibres (wool) or man made products (polypropylene, nylon and polyester)? Have you a budget in mind. Are you moving house, or replacing an existing carpet? Depending on your answers to these questions, the type of carpet that most matches your needs can be recommended. The style and colour of the carpet will be down to personal preference, but most sales assistants will give you some suggestions on colour co-ordination and the suitability of a pattern in the areas that you may be looking to carpet. For example, stripes look great on stairs and halls, but if the stairs turn a corner, then the stripe might look crooked on the turning stairs. Deep pile Saxony carpets look luxurious in lounges and bedrooms, but not so practical on stairs. 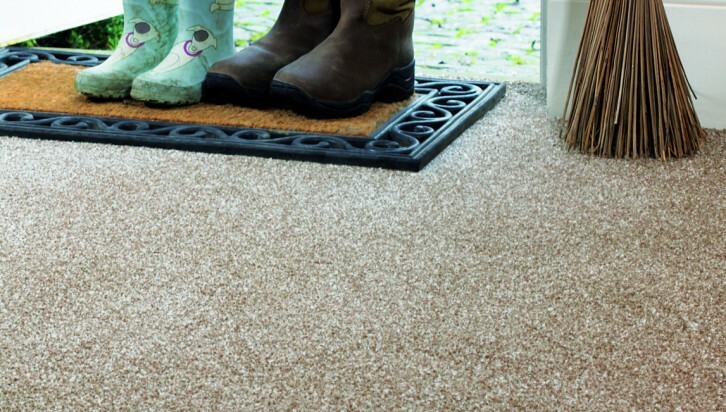 Twist pile finishes wear well and keep their appearance longer than plain Saxony carpets. Dark colours will make an area look smaller whilst lighter colours will enlarge the appearance of the room. Loop pile carpets are very hardwearing but may “snag” if you have animals. Polypropylene carpets are bleach cleanable and very suitable if you have children or pets. In summary, go to your local store armed with a few of the answers to the questions above and a few opinions of what you like and then you can commence your search for the right carpet for you.